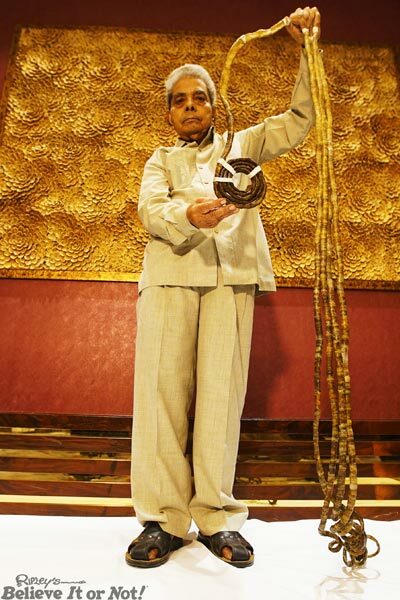 Shridhar Chillal from Pune, India, had his nails, which hold the record for the Longest fingernails on a single hand - ever, cut at Ripley’s Believe It or Not! in Times Square, New York, US. 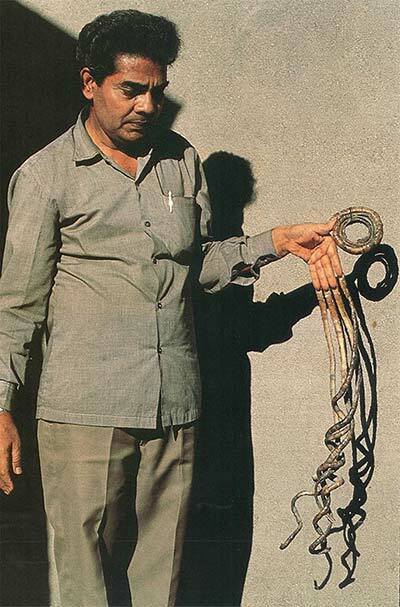 Shridhar first appeared in Guinness World Records 1979, when his nails measured a combined length of 219.7 cm (86.5 inches). His most recent appearance in 2018’s Science & Stuff which explains more about fingernails and how they grow. 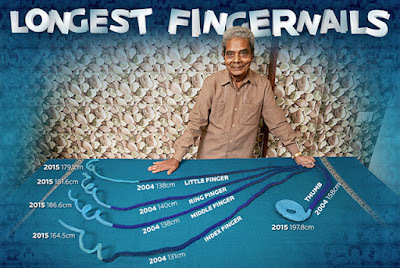 When asked by Guinness World Records in 2015 how his nails affect his life, Shridhar said they were extremely fragile and he needed to take care when sleeping. "I can’t move much, so every half an hour or so I wake up and move my hand to the other side of the bed." Despite opposition from his parents, he said he would be able to work with one hand, eventually becoming a photographer with a customised handle to accommodate his nails when using the camera.